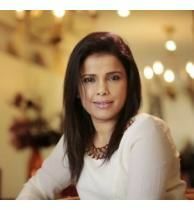 Archana Kulkarni is an expert in the field of Hypnotherapy and Transpersonal Regression Therapies. 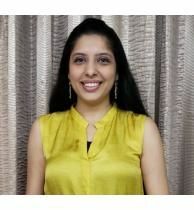 Archana graduated in Hypnotherapy from California Hypnosis Institute of India (CHII) and did her Post Graduate Diploma in Transpersonal Regression Therapies(PG-TRT) from TASSO, an Institute of repute from the Netherlands. Expertise cannot be reached without developing oneself in many ways. So between her Hypnotherapy and PG-TRT, she learned Silva Ultramind ESP from the ‘Intuition expert,’ Dr. Rajendra Kulkarni, Pranic Healing 1st level, Aura Photography, Dowsing, Access Bars, etc. These courses and continuous reading of professional literature developed the Holistic approach within her. 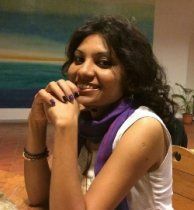 Since Archana started her practice in 2009, she is fortunate to have healed a number of people who were suffering from different diseases – physical, psychological, or psychosomatic. The PG-TRT brought in the razor-sharp expertise in her therapies – making them faster, highly result-oriented and extremely effective. This is more than evident from her client’s improved lifestyles and happy faces. 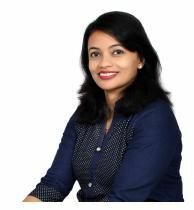 Before coming to this professional domain, Archana was just a Bachelor of Commerce. She did Inter C.A. and Inter ICWA. In spite of her degrees, she was a housewife. She, being a profession-minded person, was then feeling completely helpless, powerless, and depressed for just being a housewife. It was then that she made a choice to be a Hypnotherapist. A big decision...a strong one. It changed her life. Now that she has decidedly transformed her life into a blissful experience on this planet Earth, she decided to enable others too to transform their lives. According to Archana, when her clients are back to their ‘Real-Self,’ when they start living their life fully when their issues of relationship, money, career, and health get resolved through her, it gives her the greatest high – the feeling of being elevated!!! Archana is grateful to her husband Dr. Rajendra Kulkarni for helping and supporting her in her mission. She is thankful to her daughter for always being there whenever she needed her. Affirmations are starting points to heal any problems in our life. We keep doing negative self-talk. This affects our environment. Our mind keeps involvi. . .
Our day-to-day life and the experiences we go through are affected by and depend on the energy stored in our chakras. SV Road, Khira Nagar, Santacruz West, Mumbai, Maha. . .
2019, A year to "Rewire your brain & Truly Manifest! Most of you have done various courses and workshops. Many of the trainers promised you new skills and formulae to ac. . .
"What started of as an alternate mode of therapy to resolve a parent-child relationship, resulted in bringing up completely different issues within each of the parent, unknown to even them. This once again brings up the topic of the subconscious mind which is believed to be 6000 times stronger than the conscious mind and a storehouse of memories from the past, be it from childhood or past lives lived centuries ago. The last thoughts of the dying person or the unresolved problems regarding money, relationship, identity etc etc etc experienced then will return in the current life, in some form, till it is resolved. Some of the experiences are: 1.) The person dies underwater and body gets carried away to another place. The body is not recognised but still cremated with due respect by strangers.The soul here feels the loss of identity. The current life will bring up situations wherein the person will get the feeling of having no identity inspite of being capable. Such a person will strive to make an identity, come what may, since it's the soul's need. 2.) The person has seen someone pilfering their money and causing financial losses, which has resulted in their dreams being shattered. The dreams remained unfulfilled till death. The dying thought had the imprint of the unfulfilled dream. The current life will bring up situations wherein someone is going to start taking advantage of your hard earned money. You will become extra cautious with your finances. 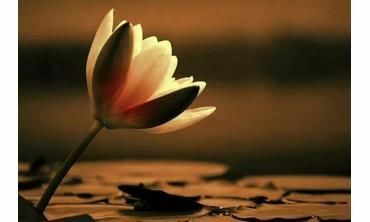 Once you resolve the issue the situation will automatically dissolve. 3.) A child who witnesses his parents fighting will subconsciously develop the fear of lack, depending on his perception at that moment. It could be a lack of money, love, health etc. That child may grow up doing extra efforts to overcome the lack. For eg., if he's perceived money as the reason for the fight, he'll work extra hard to become financially secure, to the extent of becoming a workaholic. The conclusion here is that, whatever the current issue in life, there could be a deep-rooted, unresolved issue within the subconscious mind which needs attention. Once that is addressed, the current issue might just dissolve. Besides you get the wisdom to handle situations in a better way. Thank you, Archana for the therapy and the wisdom that followed. Also thanks to Rajendra for enlightening the balance between Selflessness and Self love." 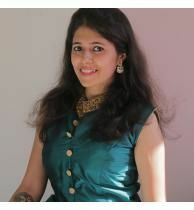 "Thank you very much Archana for helping me resolving issues with my family members. I had an issue with my father and had no confidence because of his dominance in my life. Therapy has worked in positive way and I have nice, friendly relation with my father now. Same in the issue with my husband, now I have full confidence in him and share healthy relation after the therapy. Thanks once again." "I was suffering from nightmares. I took therapy from Archana mam. It was a very nice experience. She explained the process and therapy in a very friendly manner. I experienced very high positive energy during the counseling session only. After two regression sessions only now my dreams have stopped completely and I am feeling very positive. My self-confidence has increased. Negative thoughts have reduced extremely. Means, there is a kind of confidence that whatever work I start I will 100 percent complete it. Because of nightmares, there was unexplained fear and phobia. It has disappeared now. Thank you, mam "
Ms. Namrata D. . .